“Christmas Time Is in the Air Again,” Mariah Carey used to sing… and how could we argue with her? The towns are already preparing new festive street lights and retailers are decorating their shop windows. Some Christmas markets have already started and our craving for traditional food keeps on growing, perhaps even more so than in other periods of the year. That’s why we decided to talk about delicacies ad hoc, treats that are perfect for this time of year, but always available. Let’s start with one of the most famous products made in Tuscany: Panforte, a toffee-sticky cake of candied orange peel, honey and almonds, that can be prepared basically in two different varieties: white (topped with confectioners’ sugar) or dark (topped with cocoa powder). Its history dates back to medieval times when the product was called “Panpepato,” referring to the opulence of the pepper and other spices in the recipe. In 2014 Panforte obtained the IGP European designation of quality label (corresponding to PGI - Protected Geographical Indication). Ricciarelli are soft delicious biscuits made of almond flour and albumen, covered with vanilla confectioners’ sugar. Legend tells that they were brought to Tuscany by Ricciardetto Della Gherardesca, coming back from the Crusade. Cavallucci - in Italian “little horses” – take their name from the fact that they were originally eaten by servants who worked in the stables. They have a soft texture and contain nuts and spices. Pellegrino Artusi speaks highly about them in his famous cookbook, “The science of cooking and the art of eating well”. The Copate Senesi are less well-known. They are little round pastries, and a bit expensive. Their name comes from “qubbiat”, which in Arabic means “almond brittle”. It’s an old recipe that mixes honey, walnuts and anise. 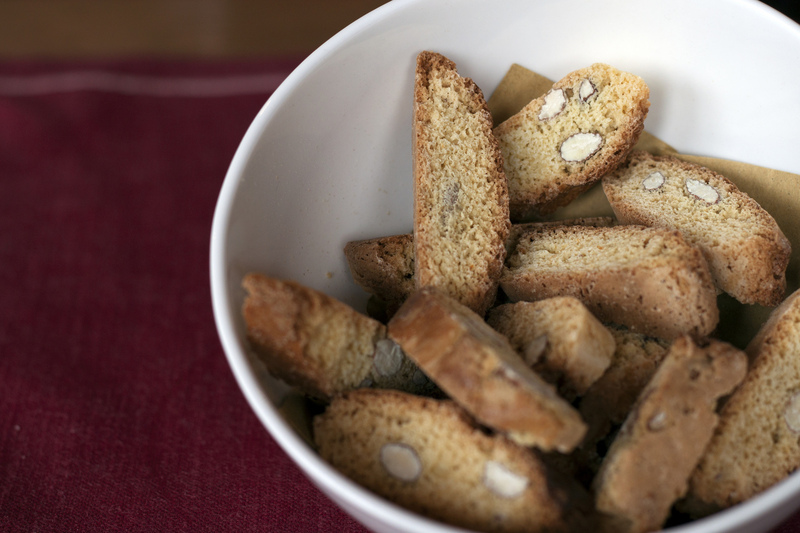 If you go to Prato don’t miss the Biscotti di Prato, a local specialty also called cantuccini di Prato. They’re made of flour, sugar, eggs, almonds and pine nuts, without using butter, oil or milk. They are sweet, crunchy and tasty. Produced all around Italy, Torrone (or nougat) is a traditional winter and Christmas confection. It is made of honey, sugar, egg white, and dried fruit as well as hazelnuts, almonds and pistachio. There are many kinds of Torroni in Italy, hard and soft, with different kinds of dried fruits, even some dipped in chocolate, but you must try the Prato recipe, prepared with local figs. In Italian folklore, there’s an old witch who delivers gifts, chocolate and coal-shaped sweets to children on Epiphany Eve – the night between January 5th and 6th. 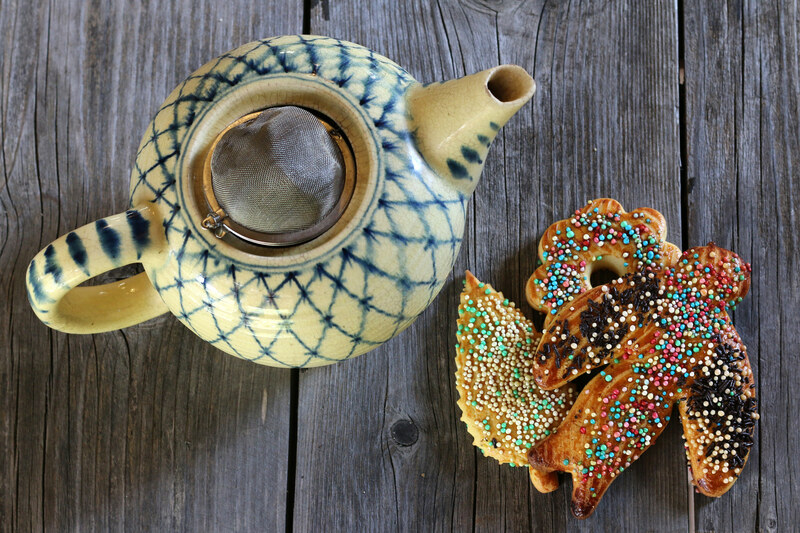 She’s the Befana, celebrated in Tuscany by preparing Befanini biscuits. These have many different shapes - like stars and animals - and are made of a mixture of flour, eggs, milk, butter and orange zest with coloured sugar on top. The children love them! PS: Don’t forget to pair your pastries with Vinsanto (Holy Wine), the most typical Tuscan sweet straw wine. The name probably originates from when it was used for Holy Communion. Vinsanto is also synonymous with hospitality: many winemaker families still offer it to their guests, while keeping their recipes closely guarded.